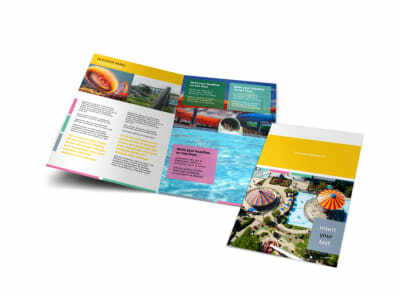 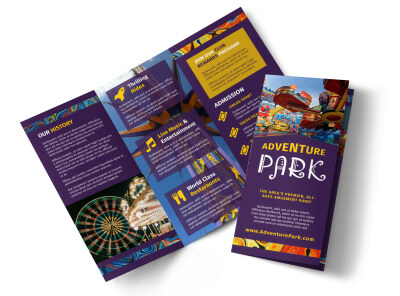 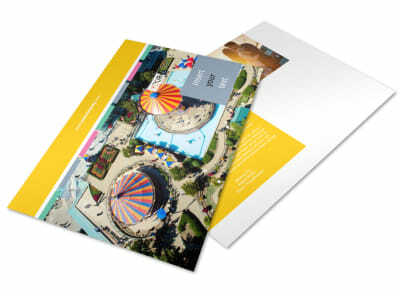 Customize our Amusement Park Brochure Template and more! 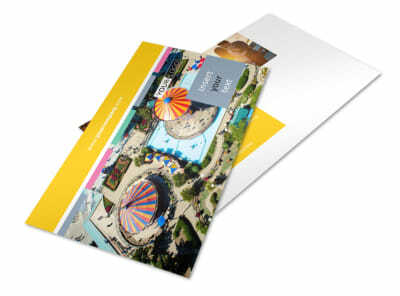 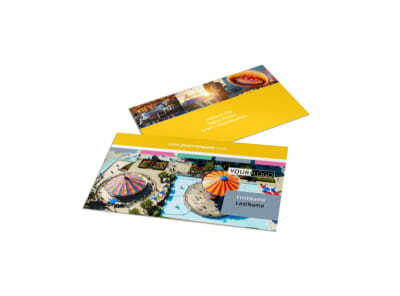 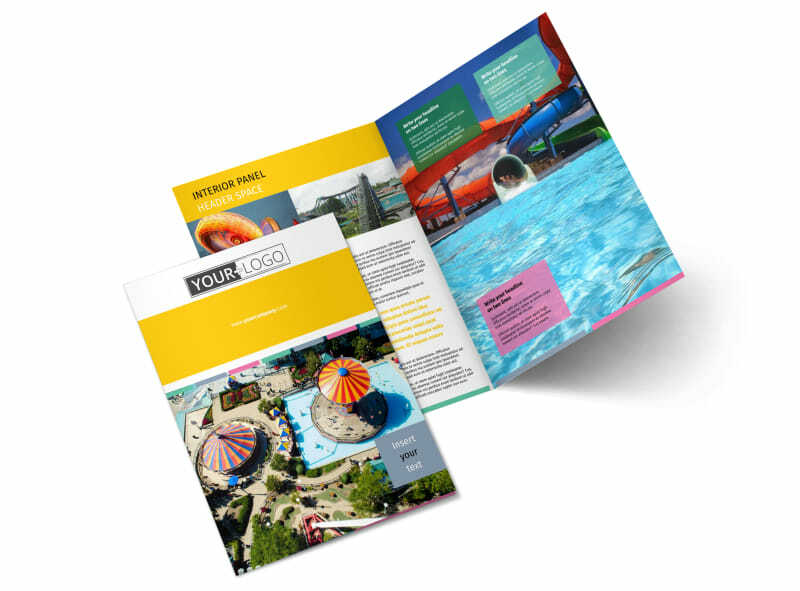 Coast your way to greater success by marketing your venue with amusement park brochures created using our templates. 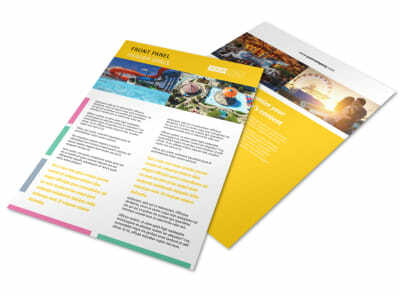 Introduce new rides and attractions and detail admissions or seasonal pass costs, park hours, and other valuable information using images, text, and other elements with our online editor. 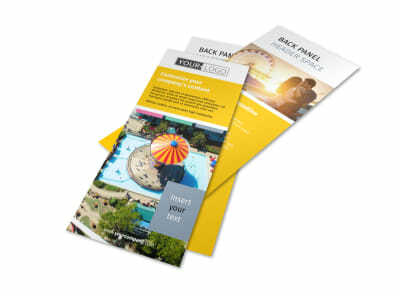 Increase park attendance by blasting your brochures on social media or printing them out to distribute traditionally.